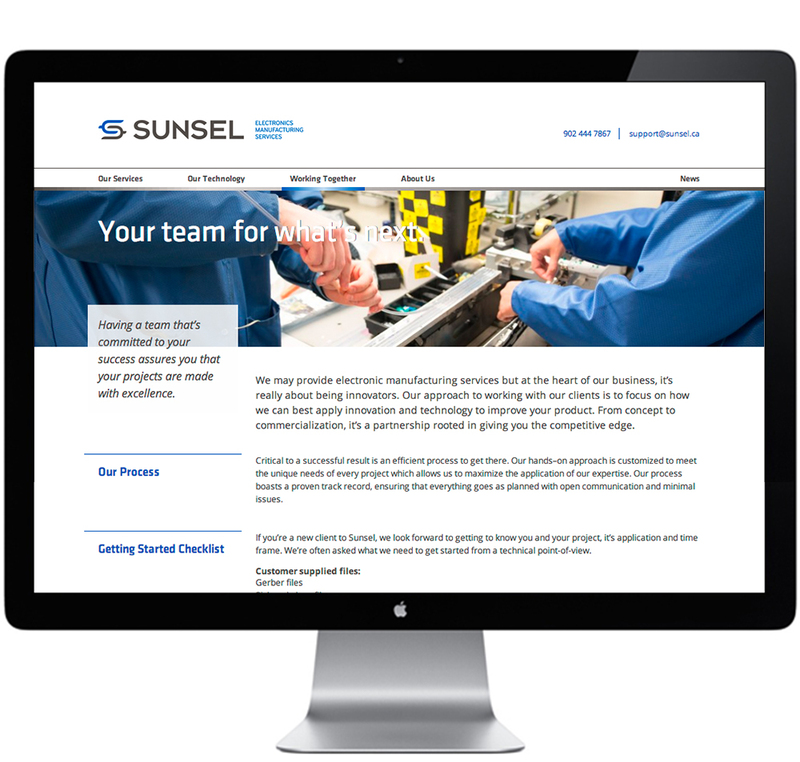 Sunsel is a leading provider of innovative electronics manufacturing services in Atlantic Canada. Well respected locally, we were brought in to help them make the jump to new markets that haven’t heard of them. Yet. 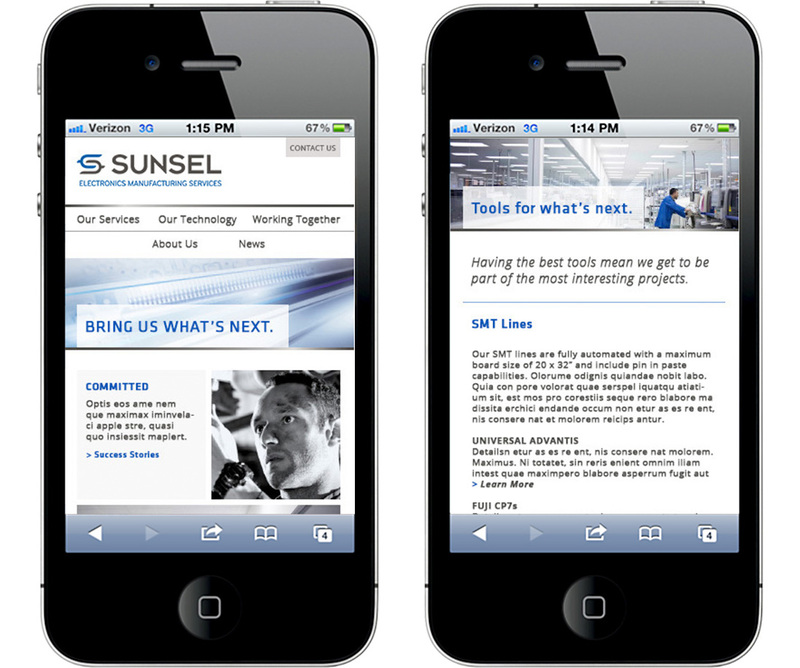 Owned and run by two guys who just love technical products and create their own cool technology, Sunsel obviously needed to reflect their passion and drive in their brand. Having built Sunsel into a local success story, our job was to reflect who they'd become 10 years later, a company ready to expand beyond its loyal word-of-mouth regional market. The answer? "Bring us what's next." A bold call to action and statement of what gets them up in the morning. 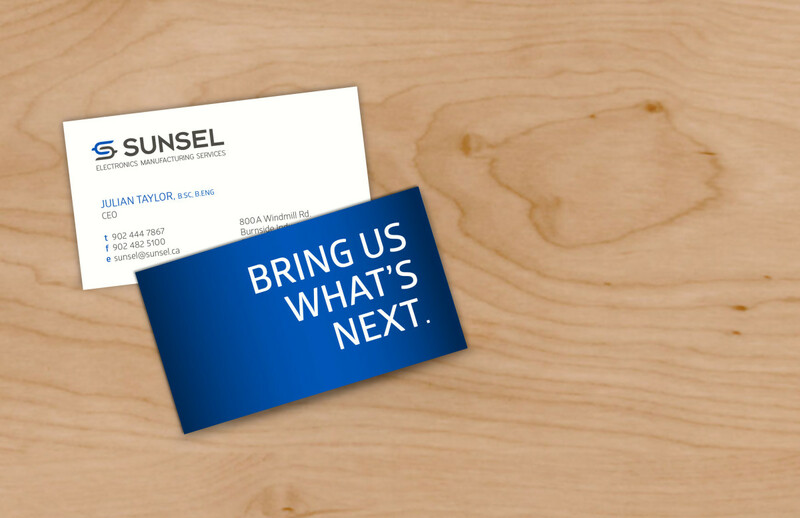 We furthered the messaging to build on their core strengths of being equipped, committed, and expert, which are implicitly three legs of a stool. Visual language was kept nicely restrained to balance the bold language and promote their assured capability and stability. A heavy use of white space, in combination with multiple square cropped images (referencing the coming together of the project elements), balances manufacturing complexity with the confidence they provide their clients.